A striking ring with a mesmerizing stone, reminiscent of the sea. 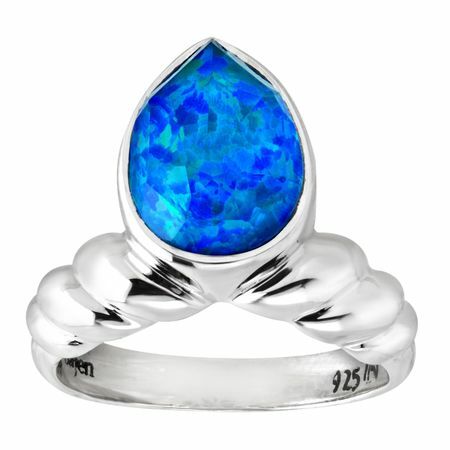 A 12x9 mm opal with a white quartz doublet is set atop a twisted sterling silver band. Ring face measures 3/8 by 1/2 inches.